Iran still has a very negative reputation and is mainly known for its old president with its populist statements about the Holocaust and Israel, its nuclear program and its alleged sponsorship of terrorism. The images of the infamous hostage in the US embassy in 1980, screaming women in black "chadors" screaming things like "America dead" and of course the Iraq-Iran war. Question linger like who was "Ayatollah Khomeini" and why the introduction of that strict Islamic doctrine? 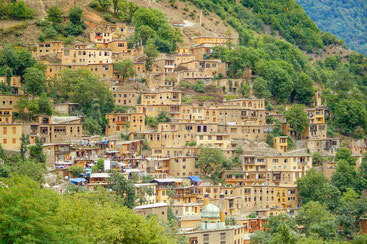 And what can a Western tourist expect in a country like Iran? 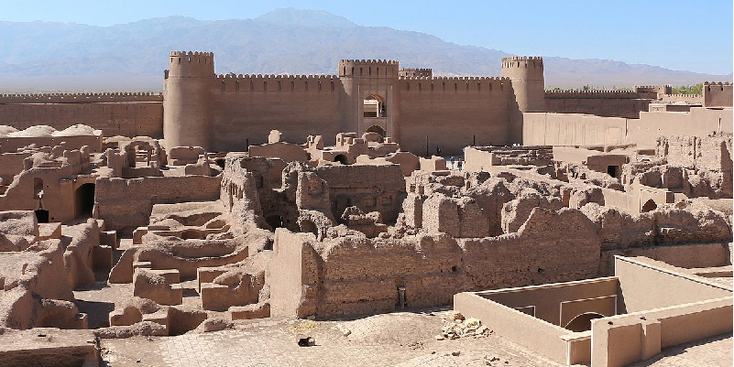 Iran or ancient Persia has a very long history and can rightly be called one of the cradles of civilization. 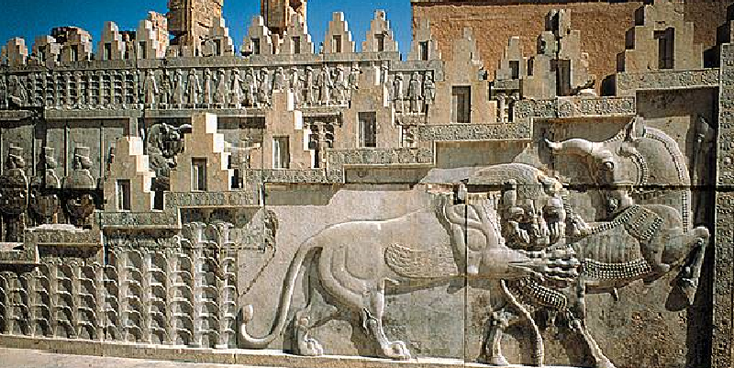 The Persian Empire was a very powerful empire and might be the first empire ever before long before Alexander the Great defeated the Persians. Even before the Romans fought here and the Arabs introduced Islam. Iran means 'Land of the Aryans'. For the Iranian- and Islamic revolution, the country was perhaps the most progressive country in the Middle East. In 1979 everything would be different - the "sharia" (Islamic law) was introduced and the country broke with the United States and other Western countries including Israel. Iran has a strong influence in Syria. With the countries at its eastern borders, Afghanistan and Pakistan, there are some tensions about Afghan drug trafficking and the fundamentalist Sunni Muslims who live in Pakistan and sometimes commit attacks in eastern Iran. Iran has good ties with Russia (which builds a nuclear power station in Iran), China and India. The state is actually led since the late 1970s by the spiritual leader - first "Khomeini" himself till his death in 1989 and since that time, "Ali Khameini" who has recently given in a bit under considerable pressure. 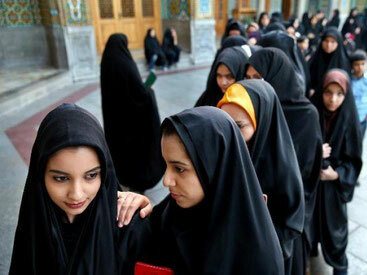 Human rights are nevertheless regularly violated, and inequality between men and women is regulated by law in Iran. In adultery, they can get the death penalty by stoning. Although Iran is one of the largest exporters of petroleum and gas, the Western embargo is heavily pushing the country. Iran has a very diverse population where the Persians make up about half of them. There are Azeri, Arabs, Kurds, Turkmen and smaller (sometimes semi-nomadic) groups of people. The landscape is also quite diverse - Iran borders the Caspian Sea and the Gulf, has got mountains in the north, two large deserts in the central part of the country and, for the rest, many semi-deserted areas. 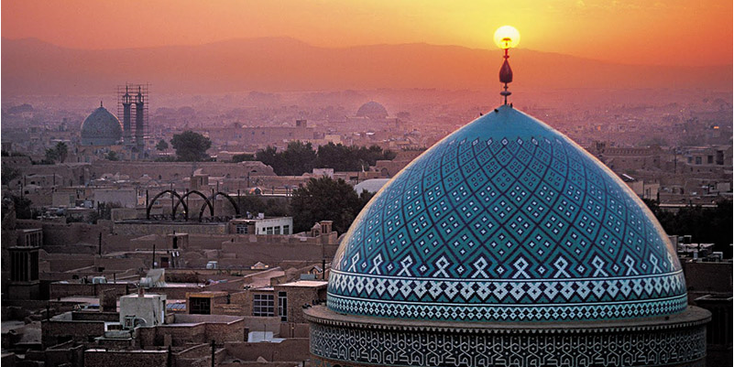 The highlights for tourists are mainly in the centre of Iran - "Kashan" with its beautiful bazaar and traditional houses, Isfahan with perhaps the most beautiful mosque in the world and the immense "Imam" square. 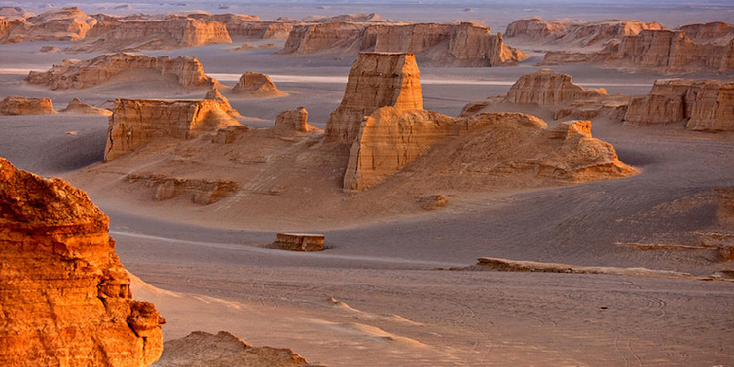 In addition, there is the progressive "Shiraz" and the old mud-brick city of "Yazd". Around "Kerman" are the cities "Mahan" and "Rayen" - the one has a beautiful mausoleum and an oasis while the other has taken over the role of the city of “Bam” destroyed by an earthquake. A visit to the unique sandstone desert of the "Kaluts" (also part of the hottest place on earth) should be in every initiary. In the far northeast of the country is the second city of the country called "Mashhad" - here you can visit the mausoleum of one of the 12 imams - "Reza". Tehran is Iran's largest polluted capital - take a look at the (former) embassies of America and Russia. Also, visiting the former palaces of the leaders should not be missed. The holy grave of "Khomeini" lies between the cities "Qom" and "Tehran" - if you go here you can combine this visit with an ode to the Iraqi-Iran war to visit the graveyard. There are certainly pros and cons of visiting Iran - first the disadvantages; First, there is a considerable effort to get a visa for the country. It's all easier and more flexible, but the easiest way is to arrange it in you’re home-country. Perhaps the biggest disadvantage is that you have to take all your money "cash" because ATM machines nor you’re creditcard because of another banking system. Then there is the heat that can affect your trip especially during the summer. On Fridays everything is closed and often shops are often closed between late afternoon and late afternoon. So far, the number of information counters, especially the ones where somebody speaks English are limited. Farsi is unfortunately for us as unreadable and incomprehensible as an Asian language. Less important cons are for example that there is (officially) no alcohol for sale and terraces are not there. Women must wear a veil and you can not walk in sleeveless shirts or shorts as a man. Beware of flirting with ladies, and nightclubs are not present. There are limited supermarkets nor nice (affordable) restaurant so you often have to look unfortunately for snacks and / or kebabs shops. Finally, the number of local buses (in city or terminal) are very limited - everyone tries to get you in taxis and they charge other prices for (Western) tourists. But the country also has enough benefits; First of all, the Iranians (maybe because of the bad reputation they have) are very friendly and helpful people. The number of times people help you or offer things (food, drink, etc.) is overwhelming. The country is very cheap for us - especially transport and food are bargains. The number of tourists is still limited and people are watching you, want your attention and seek contact. As described above, the number and diversity of (tourist) sights is quite large. The number of smokers in Iran is minimal. Similarly, the number of (street) dogs. It's safe and the crime is negligible.